Whether you've envisioned soft, romantic details or glam, eye-catching features, Brielle Chapman Beauty will help make all of your wedding glam dreams come true. I understand the importance of attention to detail and take pride in helping my brides feel confident and beautiful throughout the entire process, from engagement photos and bridal portraits, to bachelorette parties and the big day! In order to reserve your hair and makeup artist for your wedding day, a $100 deposit and completed Wedding Day Contract must be on file. You want to find the perfect hair and makeup team to execute your desired look. Where do you begin? I suggest scheduling a complimentary bridal consult. Let's talk about what you love, what you hate, and everything in between. It's important for us to know specific details regarding your dream bridal glam, and it's always a bonus to include pictures! Don't worry, If you're struggling to decide or don't know where to begin, I can help with that too. I have extensive experience with hair and makeup and style and personality assessment as well. I will do my best to give you the look that fits YOU. You've completed your consult and feel confident about setting up a trial. What next? 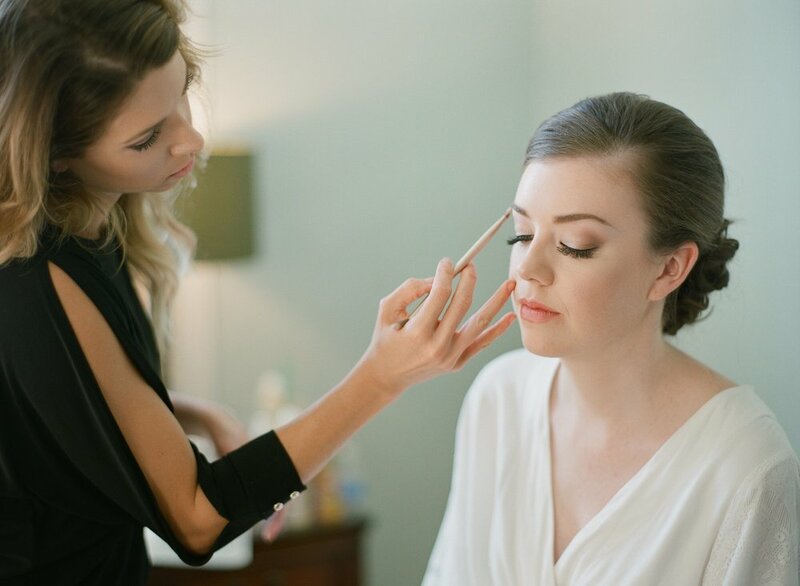 Your hair and makeup trial is the test run for the looks you may have in mind for the big day. You will want to plan for about two hours, as this usually takes some time to get it justttt right! I ask that you arrive with clean, dry hair and a list of any cosmetic allergies you may have. All professional cosmetic products, and lashes are included, but if you feel more comfortable using a specific product of your own, or prefer to bring your own lashes, we welcome you to bring them in. Once your trial is completed, I ask that you take a selfie and inspect your hair and makeup closely for the remainder of the day. I want to know of any complications or concerns you may have and ask that you let me know as soon as possible if any arise. If your look is exactly what you dreamed of, hooray! If not, I want to get it right. You've achieved your dream wedding day hair and makeup at your trial and are ready to book! How does it all work? Once you decide that you are happy with your trial and would like to book for the big day, a deposit and completed bridal contract must be secured on file to reserve your wedding day. From that point, I will communicate with you throughout the process to make sure there have not been any changes to your desired look, times, location, or bridal party numbers and needs. I encourage you to forward my info to your wedding planner who will keep me informed of any and all updates. On your big day, I will service you on location. Your trial hair and makeup will be replicated and perfected in a timely, professional manner. I will complete any bridesmaids hair and makeup and be happy to touch up as needed before my time with you and your bridal party is up. I spray, set and send you on to the day of a lifetime!